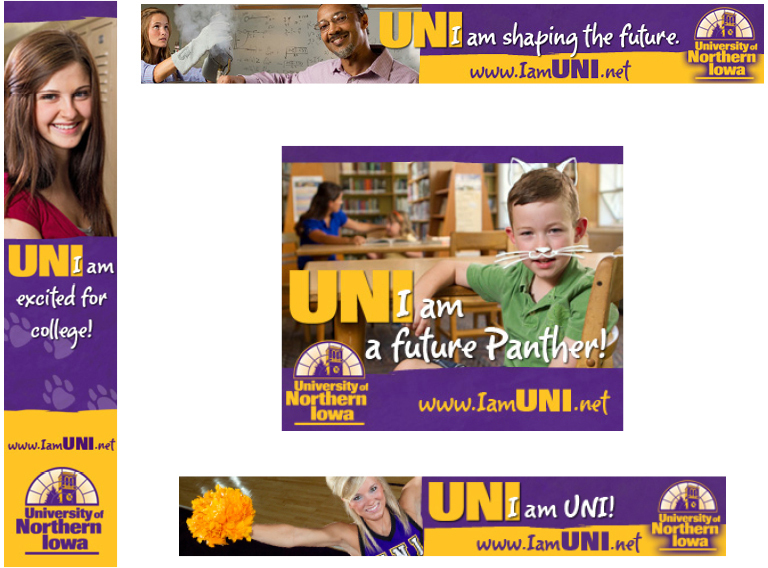 The University of Northern Iowa wanted to take a fresh look at their brand. Edge was selected through competitive bid to provide strategic creative services and media placement. The results? More than 35 million impressions on Facebook, with more than 7,800 click-throughs to UNI microsite. On Google, 9.4 million impressions, with 6,700 click-throughs and conversion tracking. University Admissions reported that both visitors and applications experienced double-digit increases. Applications increased by 20% for freshmen and 11% for transfers within the first year of the launch. Award-winning creative design as recognized by both national and Michigan professional organizations.